> Where are they now? Tony Marsh at Prescott hill climb in 1962. Copyright Ferret Fotographic 2009. Used with permission. 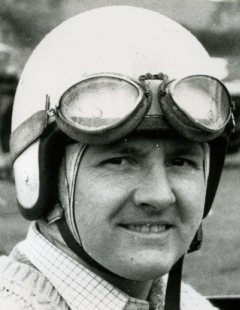 As part of an on-going project, OldRacingCars.com is working to compile a picture archive for every person on Where Are They Now? We are trying to get a picture of them whilst they were involved in racing and, if applicable, a picture of them in later life. If you can supply a picture to help this project, then please contact Richard Jenkins at and we will give full credit for any photograph used. You must own the copyright of any picture you submit, or have the explicit permission of the copyright holder. As a general policy across the site, OldRacingCars.com never uses any image if the copyright is unknown or if permission has not been granted. Pictures that have been placed on the web and licenced for reuse will be used under the appropriate terms. Also, in the case of early Indy 500 drivers, note that copyright on pictures taken before 1 Jan 1923 has now expired. As at 20 Apr 2019, 1623 racing photographs and 686 later life photographs are on line.